Wholesale inflation eased to 5.09 per cent in July on account of cheaper food articles, especially fruits and vegetables, government data showed on Tuesday. 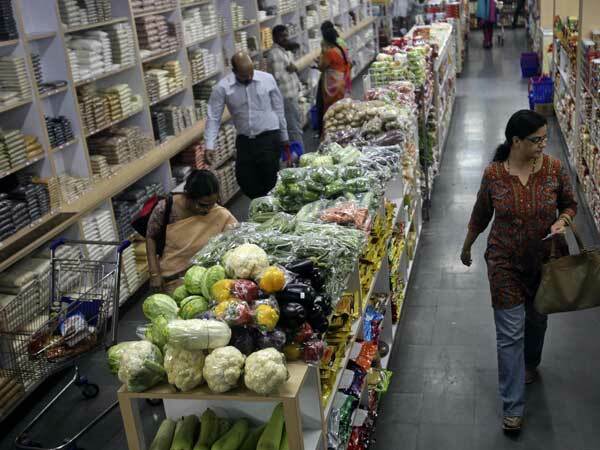 The wholesale pri-ce index (WPI) based inflation was recorded at 5.77 per cent in June. In July 20-17, it was at 1.88 per cent. The wholesale inflation in food articles category was (-)2.16 per cent in July as against (+) 1.80 per cent in the previous month, the commere and industry ministry data showed. Among others in the basket, vegetable prices fell by 14.07 per cent during the reported month as compared to a growth of 8.12 per cent in June. Lik-ewise, there was an 8.81 per cent fall in wholesale prices of fruits in July as against a rise of 3.87 per cent in June. In pulses category, inflation stood at (-) 17.03 per cent as against (-) 20.23 per cent. “Primary food articles reverted to a year-on-year disinflation after a gap of three mont-hs, driven by vegetables, fruits, as well as pulses. Although, available trends suggest a month-on-mon-th pick up in the prices of vegetables, sugar, milk, pulses and cereals in August 2018, primary food articles may continue to record year-on-year disinflation in the ongoing mo-nth,” said Aditi Nayar, chief economist, ICRA. For non-food articles, the inflation during the month under review increased to 3.96 per cent as against 3.81 per cent in June. For fuel and power and manufactured products, it increased at a faster pace of 18.10 per cent and 4.26 per cent, respectively. The rise in inflation in these categories was in line with the trend in prices of certain commodities, Nayar said. Yesterday’s government data on retail inflation, the key input for the Reserve Bank to review its monetary policy every two months, recorded a nine-month low print at 4.17 per cent on account of cheaper food articles.